Cavalor Hygienic Wash cleans the skin and kills bacteria, viruses and fungus. This is a sensitive wash and can be used to clean sheaths, clean wounds and bathe wounds to the hoof. It can also be used safely to disinfect tack, and wont dry out the leather. Hygienic wash is different to common antibacterial washes because it contains Glycerin, this softens the skin and prevents the skin from drying out, making it suitable for frequent use. 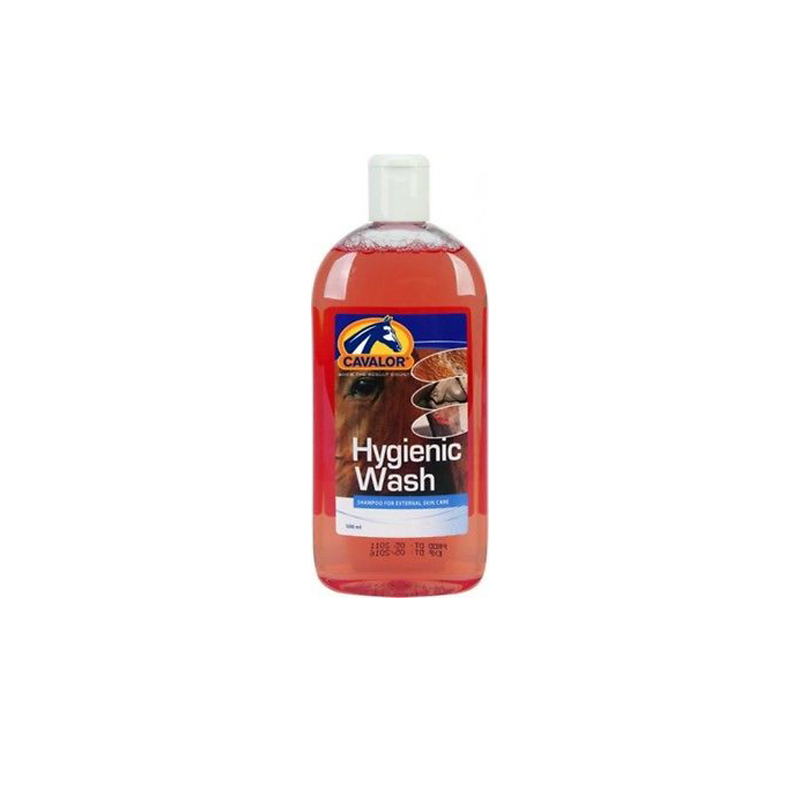 Hygienic wash can also be used to disinfect tack, it is safe for use on leather, useful should there be a ringworm or bacterial skin infection passing through a yard. How to use: Moisten the skin, rub in the ready-to-use liquid until a layer of foam develops, rinse thoroughly with water. The active ingredient in the wash needs to be in contact with the skin for a minimum of 60 seconds before it is washed off. Even after rinsing, the residual antibacterial effects of the shampoo will last for 6 hours. Hygienic wash comes in a 500ml bottle.